Does your grass easily brown or die from the desert climate? No longer want to spend hundreds of dollars each year on grass fertilizer and wasted water bills, only for your grass to never look as good as you want? Now, you don’t have to! 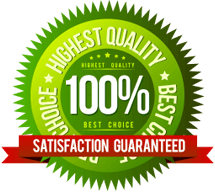 Synthetic lawn installation in Las Vegas from the experts at Desert Greenscapes can turn your dead, ugly lawn into a beautiful, green, lush space. From dog runs to putting greens, the front yard or the back, give us call! 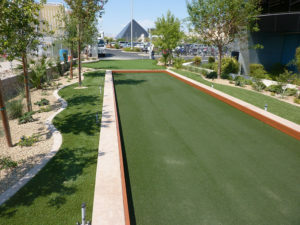 Ready to make your dream Las Vegas synthetic lawn come true? Fill out our online contact form to request a free consultation from one of our Las Vegas synthetic lawn professionals! If you’re looking for a synthetic lawn installer in the Las Vegas area, including Henderson, Paradise, and other local communities, give us a call. Our landscape experts have installed hundreds of synthetic lawns in Las Vegas and its surrounding areas. Don’t waste any more time or energy with your grass – call Desert Greenscapes to request a free consultation for synthetic lawn installation in Las Vegas, NV or its surrounding areas! Boulder City (89005, 89046), Boulder Junction, Bracken, East Las Vegas, Henderson (89002, 89011, 89012, 89014, 89015, 89074, 89120, 89122), Las Vegas (89030, 89101, 89102, 89104, 89106, 89107, 89108, 89109, 89110, 89117, 89128, 89129, 89130, 89131, 89134, 89135, 89138, 89143, 89144, 89145, 89146, 89149, 89166), Lovell, Paradise (89103, 89121, 89169), Mesquite (89027), North Las Vegas (89031, 89032, 89081, 89084, 89085, 89086), Pahrump, Spring Valley (89147), Sunrise Manor (89142, 89156), Valley, Wann, Whitney (89122), Winchester (89109), and more.